Kerrzy's Notebook: Off Season Highlights? For most North American sports fans, the off-season is a fairly boring period where the best you can hope for is a big trade or signing, or perhaps a new collective bargaining agreement. If you’re a soccer fan though, the off-season apparently just means more highlights! 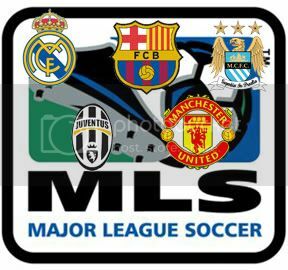 I’m not even sure that there is an off-season for soccer fans, because when your European league of choice closes shop for the year, there is always Major League Soccer, which plays on an opposite schedule! This year, while NFL & NBA fans sweat their respective lockouts and NHL fans get overexcited about player movement, the “off-season” for soccer fans has been jam packed with action. First, there was the Women’s World Cup, which really showed us all how far women’s soccer has come. Then we’ve got the Copa America, which has featured some massive upsets so far, and finally, the Herbalife World Football Challenge is now in full swing. You may be right, but so far Man United, Man City and Real Madrid have given the fans their moneys worth, and Barcelona and Juventus are sure to follow that lead! Don’t believe me? Check out these goals! Another game that should be good for a few more highlights will be Man United against the MLS All-Stars, led by David Beckham and Thierry Henry! It isn’t all fun and goals though folks, there have been some monumental upsets this summer as well. Both Brazil and Argentina were knocked out of the South American championships on penalty kicks in the quarterfinals, sending shockwaves through both nations. As tough as it is for the host Argentineans to lose out, the pain is probably much deeper in Brazil right now. Not only did they come up short in their bid for a three-peat, but they also failed to even score a goal once the game went to penalty kicks! Apparently that’s the first time ever that Brazil has been shutout on PKs! So, the next time you hear a soccer fan complaining about the “off season,” get your studs up and slide as hard as you can toward his or her shin as a way of letting them know that they don’t know how good they’ve got it!